If there’s any place that needs optimal lighting it’s a hospital or health care facility. 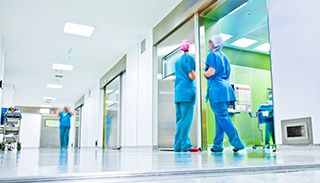 While most health care organizations are focused on the bottom line and how to reduce energy costs, they should also consider how lighting design can deliver additional benefits for patients, staff and their operating budgets. Good lighting has been credited with more than ambiance. It has even been linked to improved staff productivity, patient satisfaction and patient healing — the ultimate goal of health care facilities. 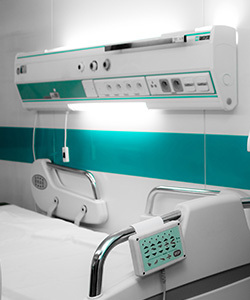 In environments like patient hospital rooms, getting the color temperature right is key to evoking an atmosphere that is less clinical and more peaceful. And white color temperature is ideal for setting the right mood. 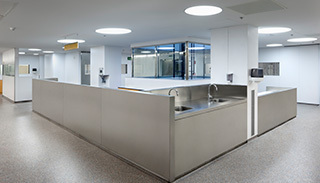 Downlighting is too harsh for patients, so low-profile, less-intrusive fixtures should also be considered wherever possible. An accelerated timeline helped our client get to market faster — we designed and shipped the custom product in 12 weeks and the first production order was delivered one month later. 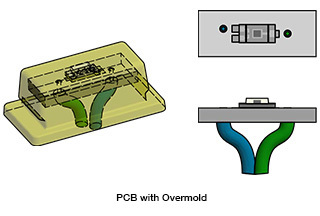 VCC’s design team was able to quickly design, prototype and produce a custom component-level solution for our client in a matter of weeks. How can we take your design to the next level? Contact us today to get started.